Join us for Family Movie Night on Wednesday, May 23, 2018, from 6:00-8:30pm. We will be showing a recent movie based on the Marvel Comics character, Black Panther. This Ryan Coogler directed film stars Chadwick Boseman, Michael B. Jordan, Lupita Nyong’o, Daniel Kaluuya, Sterling K. Brown, Angela Bassett, and Forest Whitaker. 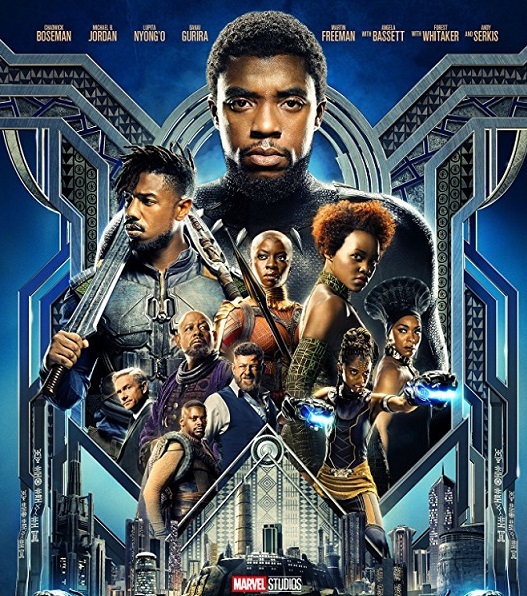 RogerEbert.com writes, “One of the year’s best films, and one that transcends the superhero genre to emerge as an epic of operatic proportions.” Richard Roeper writes “Black Panther is one of the best superhero movies of the century.” Rolling Stone adds, “You’ve never seen anything like it in your life.” Rotten Tomatoes gives the film a 96% rating.